The following is an excerpt of an article by Jenny Splitter at the popular website Mental Floss explaining the basics of GMOs. If you've followed the debate about GMOs with any sort of regularity, there's a strong chance you've come across a picture of a tomato stabbedby a giant syringe. That image, though a complete fiction, seems to perfectly capture what's preventing public acceptance of these foods: We don't really know what makes something a GMO. GMOs aren't made with syringes and, at the moment, they aren't even made with tomatoes, at least not commercially. 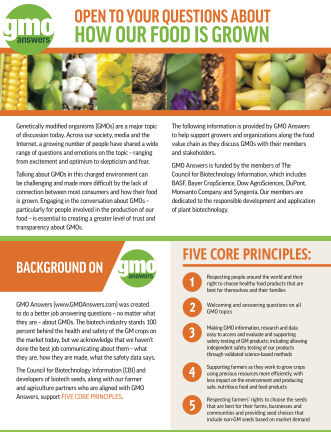 But that false image is everywhere, and surveys indicate consumers fear GMOs without knowing much about them. 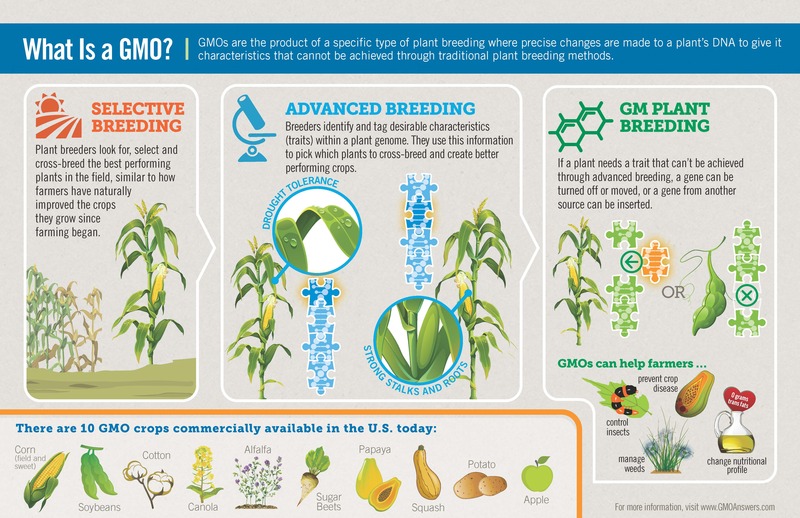 So what exactly is a GMO? 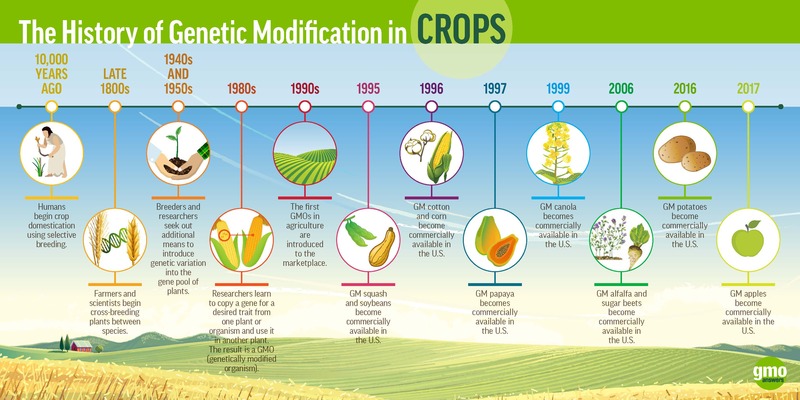 GMOs are often described as if they were a recent invention of our industrial food system, but genetic modification of food isn't new at all. 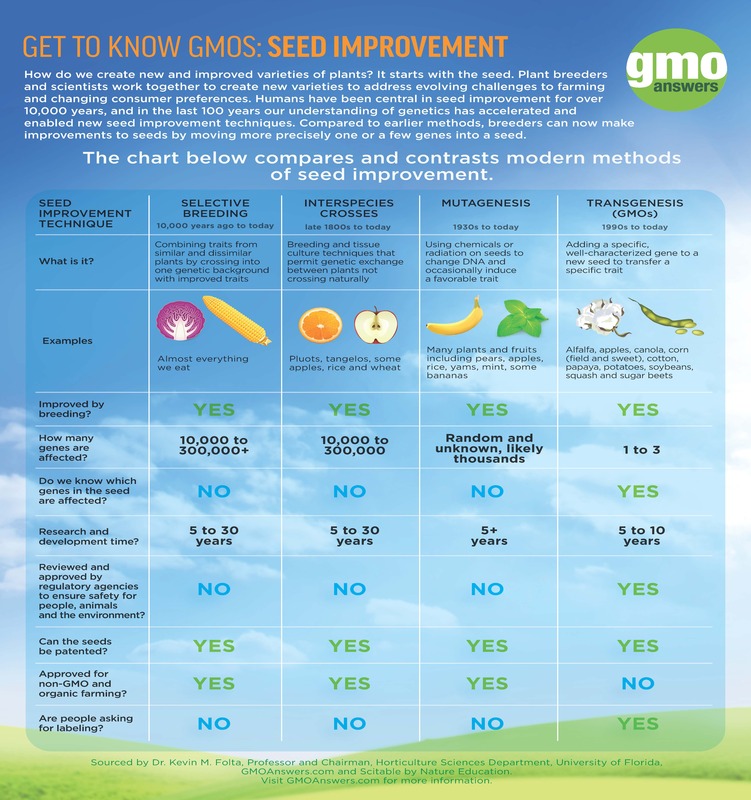 It's been happening for many millennia: As long as farmers have been saving high-performing seeds for future harvests, we've had GMOs. Perhaps the earliest known example of a GMO is the sweet potato, which scientists believe became modified when wild sweet potatoes became infected, quite naturally, by a particular kind of soil bacteria. Realizing these sweet potatoes were edible, people began saving the seeds and cultivating them for future harvests. That was about 8000 years ago. These days, when people say "GMO," they tend to mean one particular modification method that scientists refer to as transgenesis. As Van Eenennaam explains, transgenesis is "a plant-breeding method whereby useful genetic variation is moved from one species to another using the methods of modern molecular biology, also known as genetic engineering." Transgenic crops and animals have been modified with the addition of one or more genes from another living organism, using either a "gene gun," Agrobacteria—a genus of naturally occurring bacteria that insert DNA into plants—or electricity, in a process called electroporation. To read the entire article, please visit Mental Floss.